Welcome to the July 23, 2018 edition of ACM TechNews, providing timely information for IT professionals three times a week. Don't Squish the Jellyfish. Capture It With a Folding Robotic Claw. 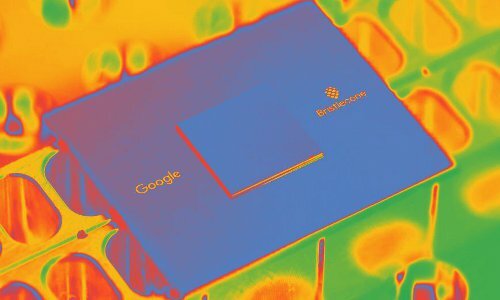 Google released a software toolkit that allows developers without a background in quantum physics to create quantum algorithms. Developers can use the Cirq toolkit to create quantum algorithms that run on simulators, but Google wants it used to help build software that will run on a wide range of real machines in the future. In addition, Google released OpenFermion-Cirq, a toolkit for creating algorithms that simulate molecules and properties of materials. The decision to make these toolkits open source will help foster a more vibrant developer community, just as it has in other areas of software. "We're at such an early stage in the development of quantum computing that it's to everyone's advantage that things are done out in the open," says Andrew Childs with the University of Maryland's Joint Center for Quantum Information and Computer Science. 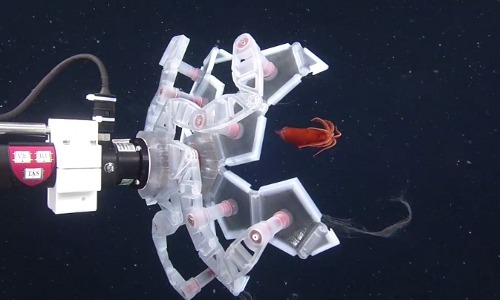 Researchers at Baruch College of the City University of New York have developed a rotary actuated dodecahedron (RAD) sampler, a device for studying soft sea creatures such as jellyfish or squid in their natural habitat. The RAD sampler uses a single motor to fold itself from a 20-inch flat star into a 12-sided structure eight inches wide. Researchers can use this device to gently hold soft sea animals temporarily for observation without harming or killing them or having to bring them to the surface. The RAD sampler is part of a larger effort to design robots that aid in the study of the oceans. The researchers plan to add internal cameras and sensors, turning the RAD sampler into an underwater laboratory capable of scanning an animal's body for reconstruction and collecting DNA samples or physiological responses under changing environmental conditions. IBM Watson Health has announced an extension through June 2019 of its collaboration with the U.S. Department of Veterans Affairs (VA) to help treat veterans with cancer using artificial intelligence (AI). The partners use the Watson cognitive computing platform to inform the delivery of personalized treatment plans by the VA's oncologists. This requires researchers and clinicians to sequence patients' DNA to locate likely cancer-causing mutations and determine strategies to target those mutations. AI can help oncologists interpret genomic data faster and with less difficulty. "It is incredibly challenging to read, understand, and stay up-to-date with the breadth and depth of medical literature and link them to relevant mutations for personalized cancer treatments," says IBM Watson Health's Kyu Rhee. "This is where AI can play an important role in helping to scale precision oncology." The Hungarian Academy of Science has demonstrated a method to induce real-world self-organizing flocking behavior in robot drones. The Academy's Gabor Vasarhelyi says distributed flocking algorithms had been limited in real-world applications because their underlying theoretical models cannot account for "constrained motion and communication capabilities, delays, perturbations, or the presence of barriers." Vasarhelyi's team developed models that included additional factors to reflect unpredictable real-world impediments, such as obstacles and boundaries encountered while moving at high velocities, as well as the sudden malfunction of sensors and short-range communication equipment. 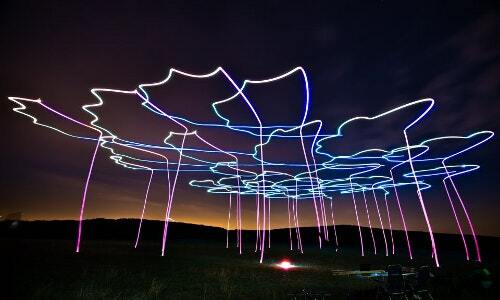 Evolutionary optimization was applied to the flocking model, which was tested using 30 autonomous aerial drones operating in a setting filled with obstacles while their electronics were programmed to fail unexpectedly. After a few runs, the drone swarm flocked and flew without difficulty, especially at high velocities. Data processing provider BlueData has rolled out an open source project for implementing and managing distributed stateful applications using Kubernetes, the open-source container-orchestration system for automating deployment, scaling, and management of containerized applications. The BlueK8s initiative focuses on large-scale applications such as analytics, data science, machine learning, and deep learning apps for artificial intelligence and big-data usage. BlueData's Tom Phelan says Blue8Ks seeks to add enterprise-level capabilities to support more robust application sets in the Kubernetes ecosystem. A key enabler is the KubeDirector program built on the Kubernetes custom resource definition framework, which leverages native Kubernetes application programming interface extensions, design plans, and authentication to streamline the learning curve for developers. KubeDirector natively supports the preservation of app configuration and state, employing an app-agnostic deployment pattern to shorten onboarding of stateful apps to Kubernetes. "The goal is to run unmodified big-data software in containers so data scientists can spend their time analyzing data rather than fighting hardware and drivers," says Phelan. University of North Carolina at Chapel Hill researchers have developed a nanoscale "light switch" that can turn on and off the transmission of one color of light over long distances, a significant milestone on the way to more controlled, effective use of light for optical computing. 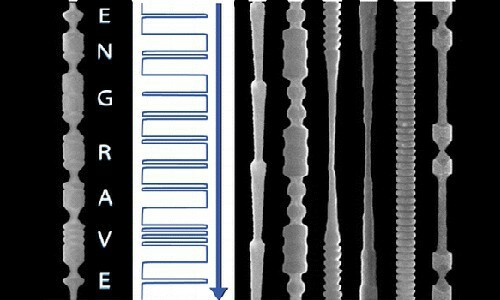 The technique, called Encoded Nanowire Growth and Appearance through VLS and Etching (ENGRAVE), can create complex shapes in nanowires and marks the first instance of the direct use of a Mie resonance to guide light in a nanowire. ENGRAVE is a new way to select and send light of a specific color using long silicon wires. The researchers found the color of light conducted by the wires is sensitive and changes as the environment does; as a result, these structures can be used as a new type of sensor in which the color of the conducted light senses the environment of the wire. 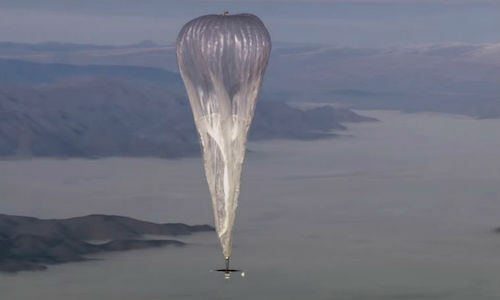 Alphabet subsidiary Loon recently announced it plans to deploy a system of balloons to provide high-speed Internet access to rural and suburban populations in Kenya next year. Loon's technology was used by U.S. telecommunications operators to provide connectivity to more than 250,000 people in Puerto Rico after a hurricane last year, and Kenya hopes the technology can enable full Internet coverage for its population. The Loon platform relies on balloons, powered by an on-board solar panel, to provide 4G coverage to areas with lower population densities. At 60,000 feet above sea level, the balloons float above air traffic, wildlife, and weather events. "Loon's mission is to connect people everywhere by inventing and integrating audacious technologies," says Loon's Alastair Westgarth. Purdue University and University of Virginia researchers have developed a fabrication method that makes tiny, thin-filmed electronic circuits that are peelable from a surface and which enable any object to sense its environment or to be controlled via the application of a high-tech sticker. The fabrication technique, called "transfer printing," reduces manufacturing costs by using a single wafer to build a nearly infinite number of thin films holding electronic circuits. The peeling is made possible by inserting a ductile metal layer, such as nickel, between the electronic film and a silicon wafer, and then submerging the entire device in water. These thin-film electronics can then be trimmed and pasted onto any surface, giving that object electronic features. "We've optimized this process so that we can delaminate electronic films from wafers in a defect-free manner," says Purdue's Chi Hwan Lee. The National University of Singapore (NUS) and ride-sharing operator Grab have created a $4.4-million artificial intelligence (AI) laboratory for analyzing transport patterns throughout Southeast Asia and developing transformative urban transportation applications. The Grab-NUS AI Lab will harness data from Grab's platform to better understand real-world transport challenges. The partners say they will tap NUS' AI expertise, with their scientists collaborating on characterization of traffic patterns and identification of "ways to directly impact mobility and livability" of regional cities. 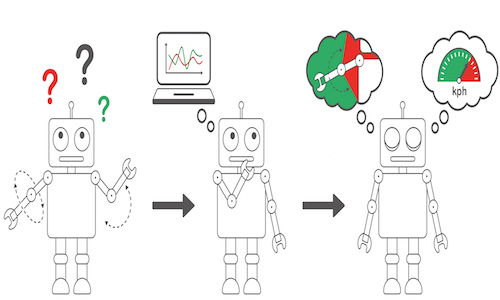 Researchers at the lab will construct an AI platform combined with large-scale machine learning and visual analytics, and devise applications from Grab's datasets. One goal for the new facility is to develop algorithms that provide personalized services based on passengers' needs and intent, pair drivers with preferable jobs, and enhance accuracy of pick-up points. Most of the top 10 English-speaking websites online offer little or no advice on creating passwords that are less likely to be hacked, according to researchers at the University of Plymouth in the U.K. Plymouth's Steve Furnell says it is worrying that more than a decade after the issue of password security was first highlighted, companies are still not doing enough to aid consumers, especially with the increased threat of global cyberattacks. The study, which focused on the password practices of Google, Facebook, Wikipedia, Reddit, Yahoo, Amazon, Twitter, Instagram, Microsoft Live, and Netflix, examined whether users were provided with guidance when creating an account, or changing or resetting a password, and how rigorously any password guidelines were enforced. Furnell notes although the increased availability of two-step authentication and two-factor authentication options is a positive development, users require more encouragement or obligation to use them. Researchers at the Institute of Science and Technology Austria and the Max Planck Institute (MPI) for Intelligent Systems in Germany have developed a machine learning method that uses observations made under safe conditions to accurately extrapolate all possible conditions shaped by the same physical dynamics. MPI's Georg Martius says the method digests data from which it extracts the equations describing the underlying physics. The technique also yields more intuitive and understandable equations, and it ensures interpretability and optimization for physical situations because it is founded on a different type of framework than other machine-learning techniques. Martius envisions this research being applied to a future scenario in which "[a] robot would experiment with different motions, then be able to use machine learning to uncover the equations that govern its body and movement, allowing it to avoid dangerous actions or situations."